The highly forgiving 460cc head is part of a lighter total system mass that helps maximize speed and distance, especially from slower swing speeds. Crown turbulators on the pearl-colored head reduce aerodynamic drag, leading to faster clubhead speed and ball velocity for added distance. Lofts are adjustable plus or minus 1°, and heel weighting squares the face at impact for longer, straighter drives. 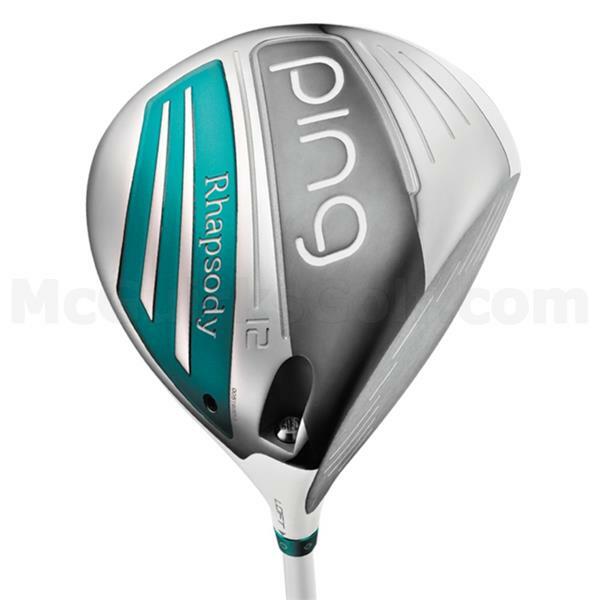 To generate longer drives, the Rhapsody adjustable driver offers a lighter total system mass and a pearl-colored Ti 8-1-1 head that is centrifugally cast, which allowed us to optimize the CG and increase the MOI for greater accuracy. 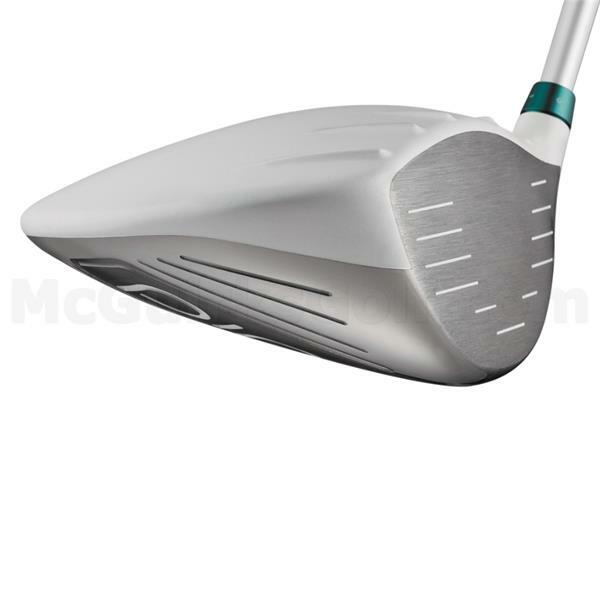 The thin, Ti 6-4 face helps maximize ball speed for adding distance. Heel weighting promotes head rotation to square the face for consistently solid impact. Turbulator Technology on the crown reduces aerodynamic drag on the downswing, leading to increased clubhead speed and ball velocity for added distance. Turbulators also help frame the ball at address to assist with aim and alignment. Using Trajectory Tuning+ Technology, five loft settings allow you to fine-tune trajectory prior to a round. Settings are Standard, +0.6°, +1°, -0.6°, and -1°. A stylized PING women’s logo and attractive Tropic Teal theme ensure visual appeal and continuity across the Rhapsody family.